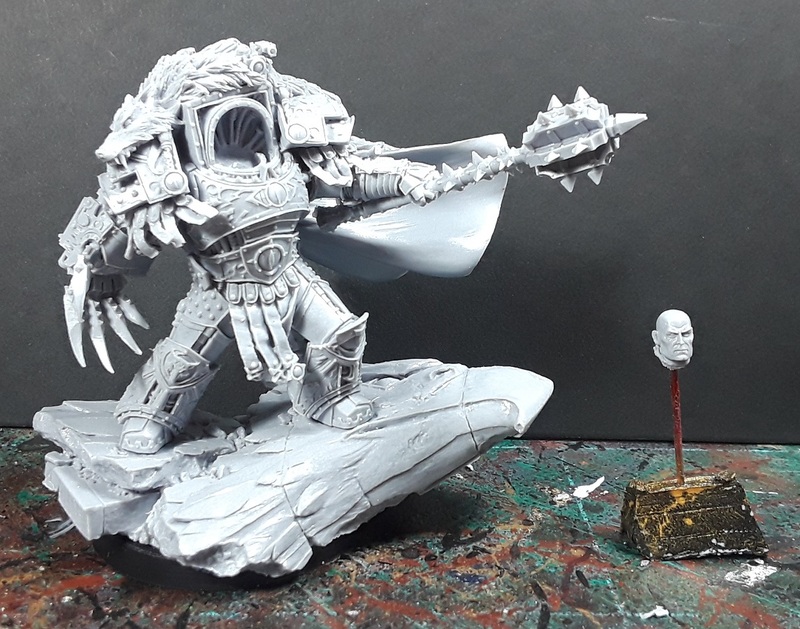 Mordian 7th Regiment: Heresy Era Sons of Horus - Horus the Warmaster built! 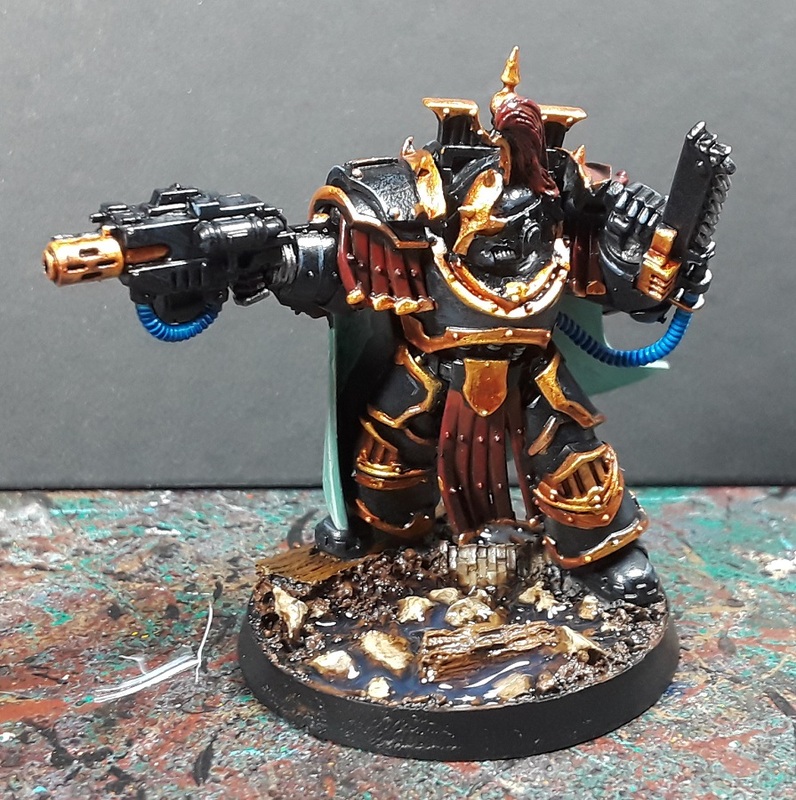 Heresy Era Sons of Horus - Horus the Warmaster built! A box o' joy dropped on my doorstep a few days ago and after a good soak and scrub, the centerpiece for the Sons of Horus army takes the stage! Leaving his head separate for painting, the intent is to do some fiery glow from the interior of the armour, reflecting up and to the rear of his head. That's the plan at least, we'll see if my skillset will allow it. 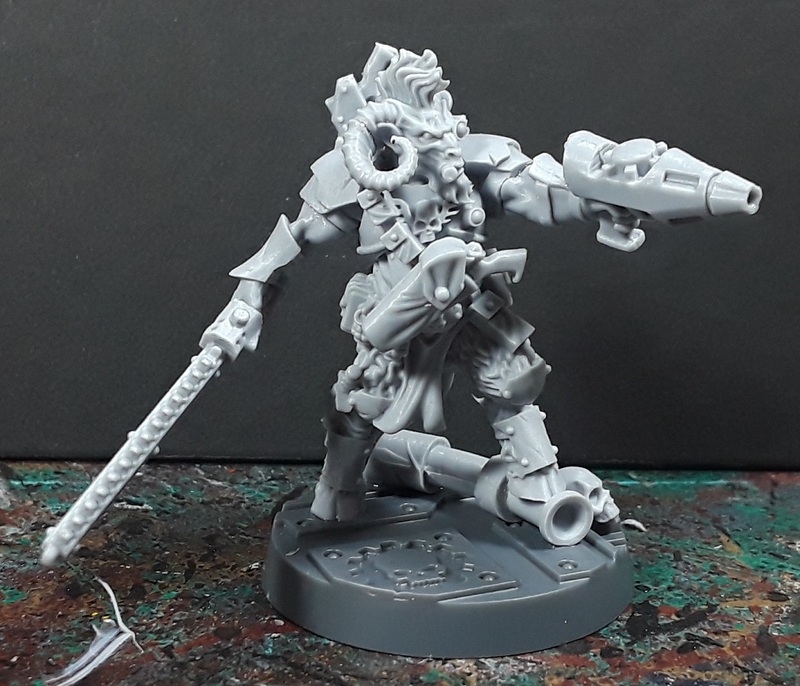 Really looking forward to getting him on the painting desk - this is one of the models that I have always wanted to tackle but have equally feared undertaking! 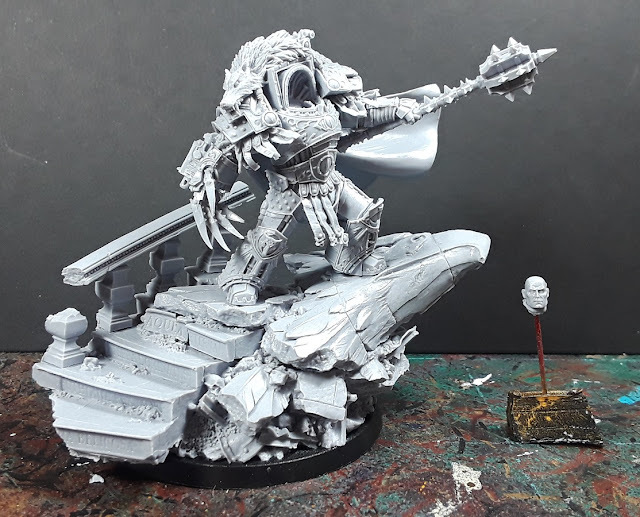 I really like the base that he comes with, the full vignette really has a sense of majesty to it, and even separated down to the gaming base it is still very imposing! Still trying to decide which way he'll be looking in the end, pointing left down along the haft of Worldbreaker, or more out to the right such that he'd be facing directly into the camera in the pic above. With my propensity for slightly walleyed pupil placement, he may inadvertently end up doing both! 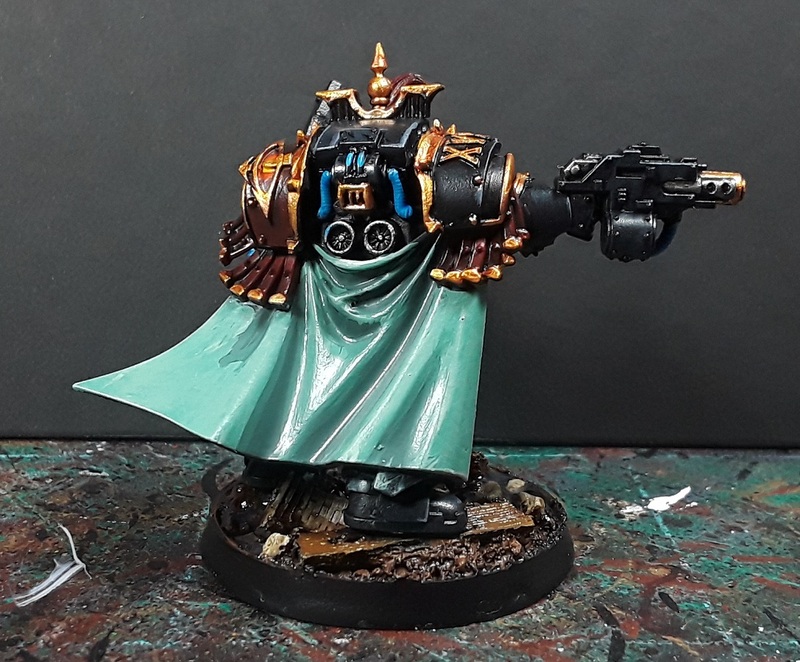 I got some brush time in on Falkus Kibre recently as well, as I have a game scheduled (GASP) for this coming Sunday where the Sons of Horus will be taking the field for the first time and I needed a Delegatus to lead the force. Pretty pleased with how he's turning out, still working on the base (as you can see the initial pass of water effects are still drying). 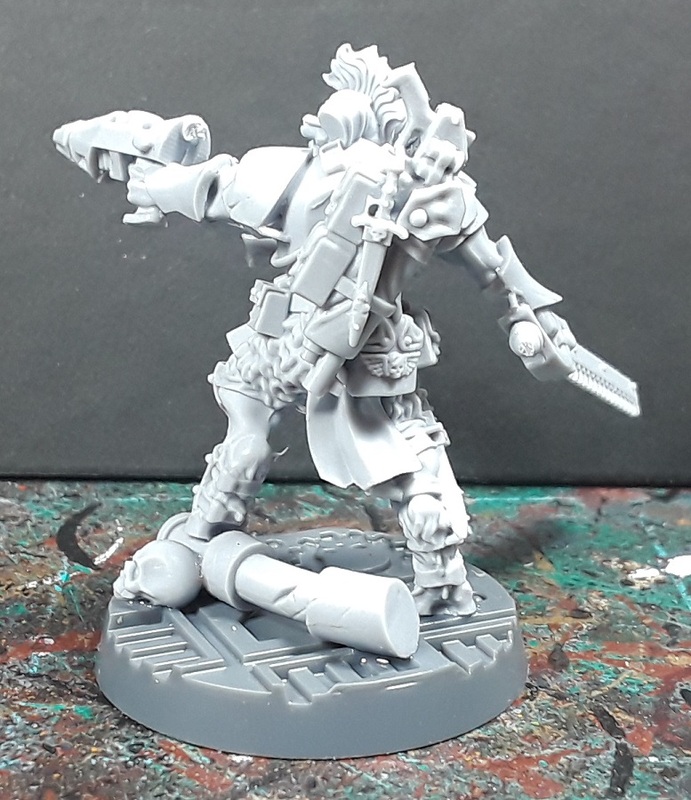 Also included in the recent box o' joy was a little something for Necromunda - Gor Halfhorn the bounty hunter. 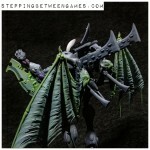 I love this homage to the old metal guard beastman model, and really look forward to getting some paint on him as well! @Kevin Spyrle: Thanks very much!